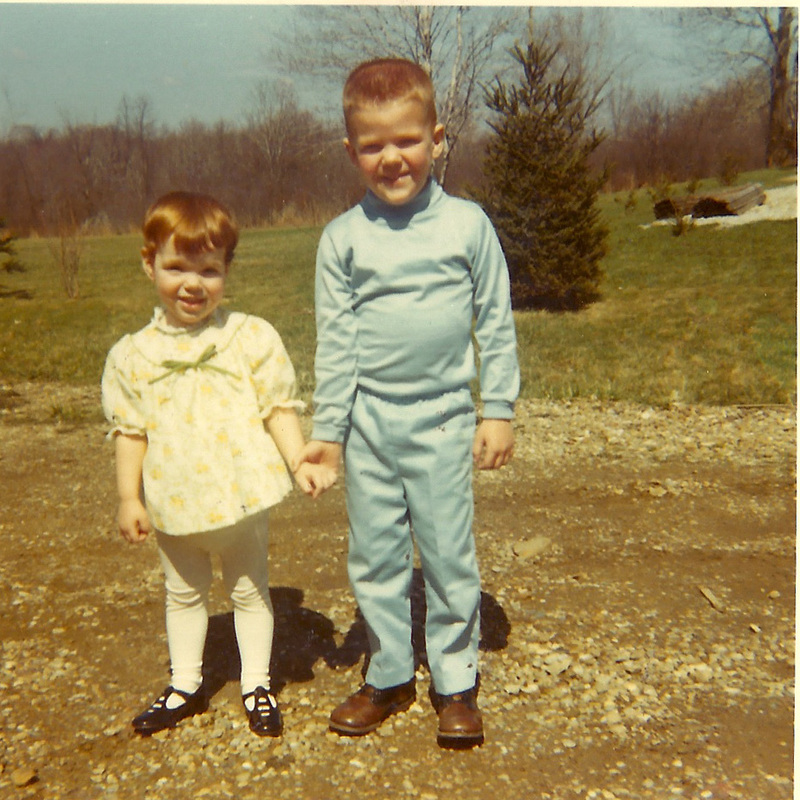 Every Easter, I pull out this photo of my brother and me. I was about two years old that Easter Sunday, and my brother was four. This may have been the last time he held my hand for any reason, other than to drag me toward a swimming pool so that he could throw me into it. We were church-going folks when I was little, which means my dress was probably my new Sunday-best and I was incredibly proud of it. During this photo session my brother was stung by a bee, and somewhere my parents have a photo they snapped just as it was happening. In it, he is holding his arm and howling. Every year I wish I had a copy, because while I’m sure I was traumatized on his behalf at the time… I now think it’s one of the funniest photos in our family album.